Bacich Elementary School in Kentfield is one of the most sought-after schools in Marin, in part thanks to its high test scores. It’s no secret that schools play a starring role in Bay Area home purchasing, with many buyers willing to fork out a sizable premium for properties that feed into top districts. A recent San Francisco Chronicle article found that Peninsula buyers regularly pay more than $200,000 extra for homes in neighborhoods with high-performing schools. Meanwhile, nearby properties in good but lower-scoring districts garner fewer offers. Surprisingly, some of these buyers don’t even have children yet. Of course, in many cities, including Oakland where Chabot is located, living in a specific neighborhood doesn’t necessarily guarantee you a spot at the local school. If the school is full, your child may receive a different assignment. In San Francisco the school enrollment lottery is even more complicated and less tied to street address, leading many families who don’t land their top choices to leave for the suburbs or choose private schools. 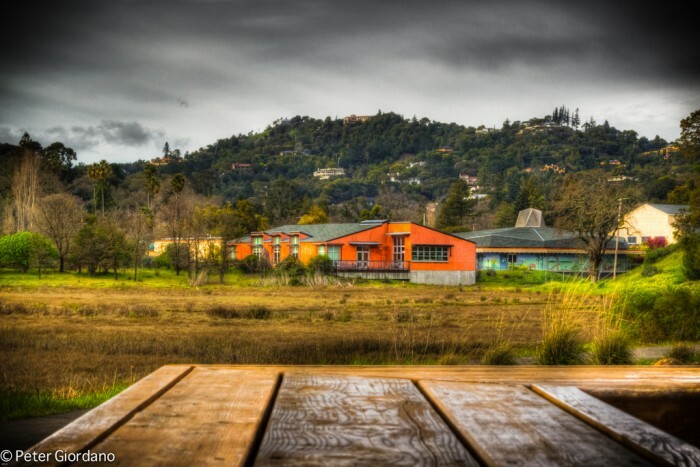 A big chunk of those families move north to Marin, where they’re eager to find homes in Tiburon, Mill Valley, Kentfield, and Ross – cities with high-scoring school districts, said Brent Thomson, a senior vice president and branch executive for our Marin offices. “Bidding wars will break out because those are desirable areas, and if buyers have kids, they’re even more desirable to them,” Thomson said. She noted that San Rafael’s Dixie School District is also very strong but tends to receive less attention than better-known districts in southern Marin. The problem of “over-hyped” schools – whose reputations often stem from high test scores available online — is one that Peninsula school officials are trying to tackle head on, partly with educational workshops for real estate professionals. Carrie Du Bois, a Sequoia Union High School District board member and real estate professional, told the Chronicle that buyers will often eschew high-ranking schools just because schools nearby scored slightly better on state tests. She recalled one buyer who pulled an offer on a home in San Carlos because it fed into the city’s lowest-scoring school — a school that had earned a very solid 880 out of 1,000 on state Academic Performance Index tests. The kicker? The buyer was a single man with no children. In Contra Costa County, many buyers come from San Francisco or Oakland for the high-scoring schools in Lamorinda (the Lafayette-Moraga-Orinda communities) and the San Ramon Valley Unified School District, said Ellen Anderson, senior vice president and regional manager for our Contra Costa County offices. Of course, commute length also remains a major factor for buyers. But for buyers with very young children – and those who haven’t yet had a baby – guessing which schools will be strong in several years can be challenging, our East Bay real estate professional said. “Often I don’t know how good the schools are going to be in five years when your child’s ready to attend,” our real estate professional said. “Glenview Elementary School in Oakland used to not be a good school, but people have moved in, sent their kids there, and they’ve spent their time and energy there. Now it’s a good school. “I try not to make a lot of claims about schools because I think it’s such a personal decision,” she added.